Terms and Conditions apply. New players only. 18+. 35x wagering applies to Bonus Cash and Free Spins. Starburst Free Spins credited after deposit & wager of £20+ on slot games. Gambleaware.org. A progressive jackpot is a jackpot that keeps on growing until one lucky player wins it. Every bet that is placed on a game adds to the progressive jackpot prize pool until one person walks away with the entire cash prize, which could be many millions! 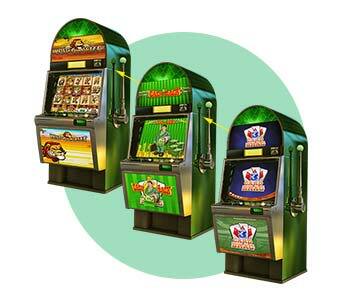 When we talk about progressive jackpots, we are normally talking about progressive slot machines. These slots work in just the same way as other slot machines, except for the biggest jackpot keeps increasing, instead of staying the same. Progressive slots are available to play both in both land-based casinos and online casinos. The combined jackpot prize from these slots is far beyond what any one single fixed jackpot slot could pay out alone. You are probably wondering just how the money is collected to make up such a substantial cash prize. Well, when a player makes a wager on a jackpot slot, a percentage of the wager goes into the jackpot prize pool. So, for every spin, from every player, the jackpot will grow. The amount that the jackpot increases with each individual bet by is set by the casino. The casino has to set aside an amount of its profits from that game to add to the progressive jackpot prize. For example, on a slot with a house edge of 6%, a jackpot contribution might be 1% (one sixth of the expected profit). Consider hundreds of online casinos and millions of players playing the same game or the same series of games. You can quickly understand how the prize pool soars into the millions. 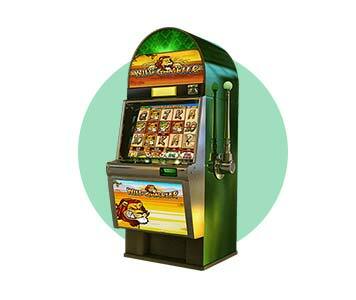 The stand-alone progressive jackpot slot machine is a machine that is not linked to any other slot. 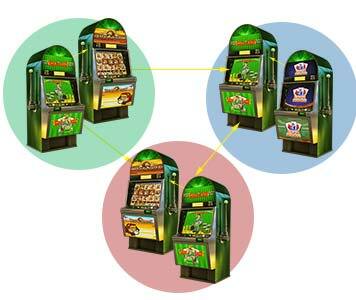 Whenever a player makes a bet on the slot, a percentage is taken out and added to the jackpot. The progressive jackpots in these machines are less than the progressive jackpots from linked slot machines because they only take money from the players playing that specific slot. The jackpot here are smaller, usually under €10,000, but the chance of hitting it is highest. The local progressive slots – also called in-house or proprietary progressives – are slots that are linked with other machines in the same casino (‘in-house’). The progressive jackpots on these types of slot machines are higher than the stand-alone machines but not as high as the wide-area jackpots. The jackpot size is medium, usually under €100,000, and there is a higher chance of hitting it than with a wide-area progressive. Wide-area progressive slots are the machines that offer life-changing wins, often in the millions. These slots are linked together with slots from multiple casinos. This can either be the same game or a series of games, such as with the Marvel series of slots. They are operated by a third party authority and the casinos where they are played receive a share from a percentage of the profits. The progressive jackpot in these games is incredibly large, often many millions, but the chance of hitting it is very small. Experience the thrill of a big win playing progressive slots! Playing a progressive jackpot slot machine is just like playing a regular slot machine with just a couple of differences. For example, progressive slots have a jackpot meter, which shows the current value of the progressive jackpot. As you play, you can see the jackpot increasing in value all the time. In many online casinos you can also find a list of all the progressive jackpot slots available and how much each respective jackpot is currently worth under the Jackpot section. As well as a jackpot meter that shows the jackpot amount, you can also see the winning combinations needed to hit the jackpot. For example, on a slot machine you might need 5 gold stars on an active payline to win. When a player wins the jackpot, the jackpot meter resets to its pre-programmed minimum level, and the process begins again. The gameplay for progressive slots is just like any other slot machine. You can choose your own coin value and bet level. However, in most progressive slots you need to play the maximum bet with all the paylines to qualify for the progressive jackpot. Make sure you read the game rules before you start playing because there is nothing worse than hitting the jackpot only to realise you haven’t qualified! You can find the rules for each slot game in the Rules section within the game. Many people have hit life-changing wins playing progressive jackpot slots. On the 6th October, 2015, a British soldier from Crewe named Jonathon Heywood, tried an online casino to try just a few spins of the Mega Moolah game. He deposited a limited amount and scooped a staggering €17,879,645 on Mega Moolah – his life was then completely changed by wagering a €0.25 bet. Jonathon is currently the Guinness world record title holder for winning the largest jackpot in modern time. How would you spend a life-changing jackpot win? Progressive jackpots are normally associated with slot machines. However, many other games can also have a progressive side bet. For example, Caribbean Stud Poker often has a progressive jackpot side bet which is played by placing €1 in the progressive box. The jackpot is activated when a player hits the highest possible hand. The payout is normally 10% of the progressive jackpot for hitting a straight flush and 100% of the progressive jackpot for hitting a royal flush. Progressive jackpots can also be found in video poker and even in blackjack as a side bet. In progressive blackjack, certain percentages of the jackpot prize pool are paid out for specific combinations of cards in one hand, such as four suited Aces. Mega Fortune had been holding the world record for the largest online slot payout for quite some time: This was an incredible €17,861,813. 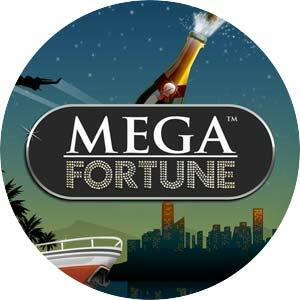 Aside from creating millionaires, Mega Fortune online slot creates the epitome of the millionaire lifestyle. From the lavish graphics to the bling-bling sound effects, Mega Fortune shows you the kind of life you could be living if you strike it luck on this slot game! One of the best features of Mega Fortune is its progressive jackpot. In fact, Mega Fortune features 3 individual progressive jackpots – Rapid, Major and Mega – giving 3 chances to hit a big win. Nordic mythology meets modern-day entertainment in Hall of Gods online slot. This game features symbols based on popular characters of Norse legend, such as Thor, Odin and Loki. Unlock Thor’s hammer to access the slot bonus round. Smash shields hiding cash prizes or jackpot symbols and once you have matched 3 symbols, you win the corresponding prize. 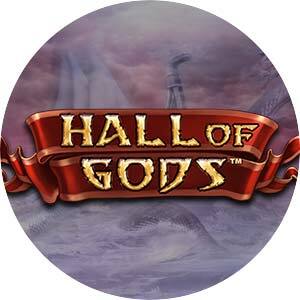 Hall of Gods features three progressive jackpots – the Mini, Midi and Mega. 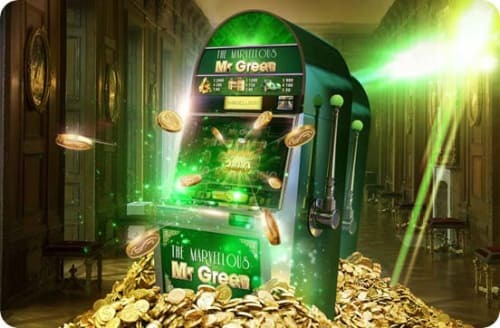 The mini jackpot has cash prizes in the hundreds, the midi jackpot gives away cash prize in the thousands and finally the mega jackpot awards grand cash prize in the millions. IGT has a number of impressive progressive jackpot slots, each with potentially life-changing payouts. 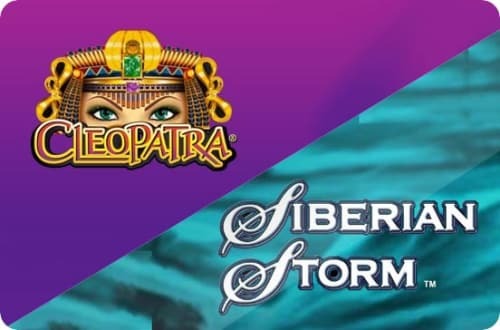 Mega Jackpots Siberian Storm and Cleopatra are two online progressive jackpot slots from IGT. Both of these feature progressive jackpots and can be played online in fun mode or real money play. Mega Jackpots Siberian Storm features IGT’s MultiwayXtra slot experience with 720 ways to win from both left to right and right to left. Proving massively popular with players, the Siberian Storm jackpot slot is quickly becoming the IGT game not to be missed. Check out the size of our current progressive jackpots – will you trigger the next win?